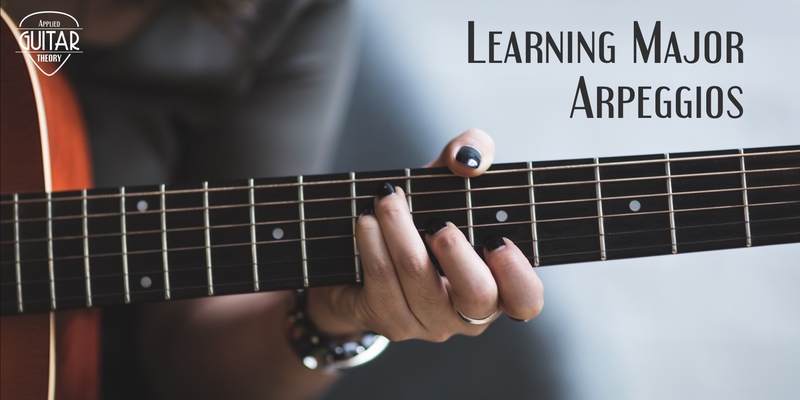 In previous lessons we’ve learned about the CAGED system for learning guitar chords and scales. 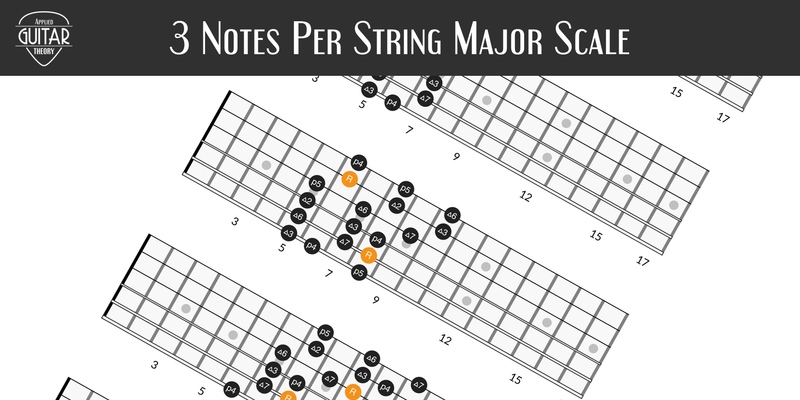 Another system that is useful for learning scales is the 3 notes per string system. 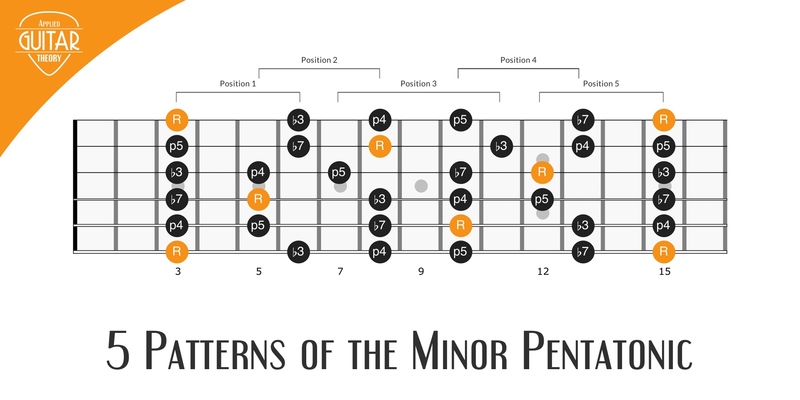 In this lesson we take a look at the minor arpeggio. 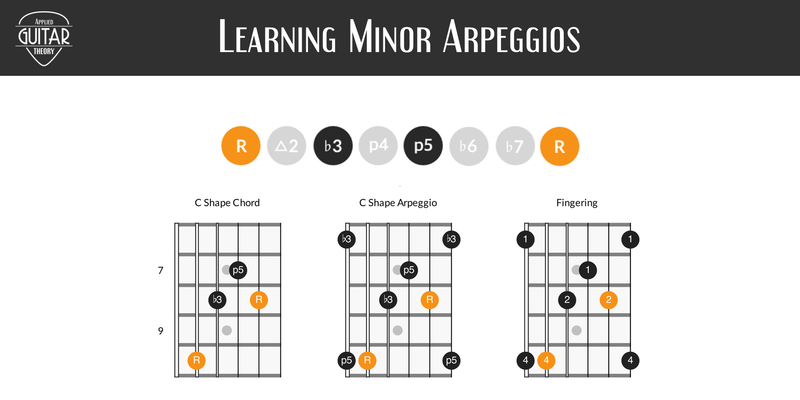 We’ll learn what makes up a minor arpeggio, how it differs from the major arpeggio, and its various shapes found on the fretboard. In part one of guitar triads we looked at major triads and how you can learn these triads based on the CAGED guitar system. 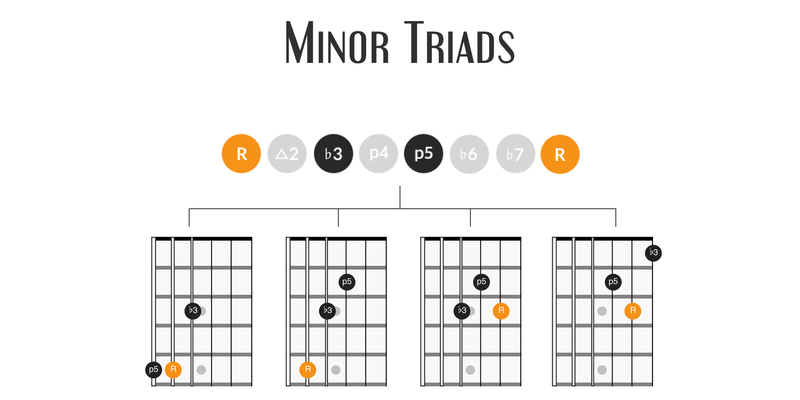 In this lesson we’ll take a look at minor triads. If you need a review of triads and how they’re formed, check out part one again. Otherwise, let’s get started! 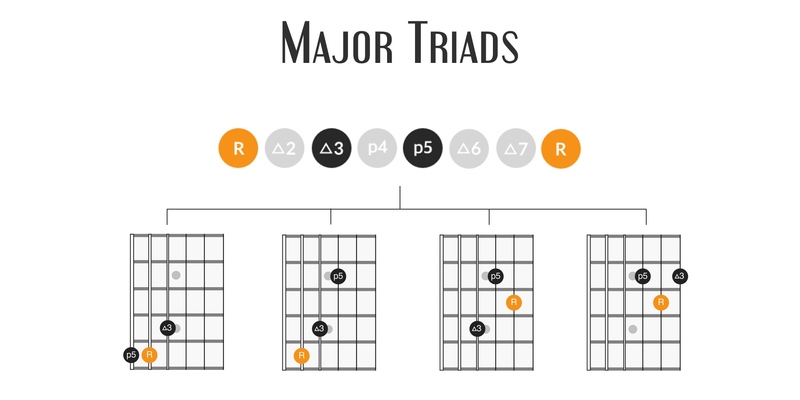 Triads are the building blocks of chords. If you’re used to playing only full chords, triads will help expand your playing and allow you to create more unique voicings and tones. They’re a great way to spice up your playing by allowing you to easily add little embellishments to your rhythms. Major arpeggios are when the notes of a chord are played individually one after another. They can be used to add a bit of color to guitar solos and fills. The power chord. If you’re new to guitar, you may not know what it is, but you’ve surely heard it. It’s the sound of rock n’ roll. These simple two-note chords have been used to create some of the greatest riffs and chord progressions in rock history. 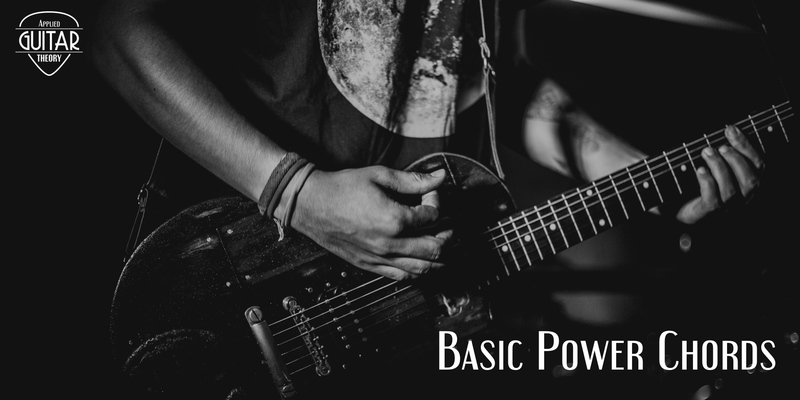 In this lesson we’re going to look at the basic power chords for guitar, from construction to the various ways they’re played. The CAGED system is a way to describe the layout of the guitar fretboard in a logical way. 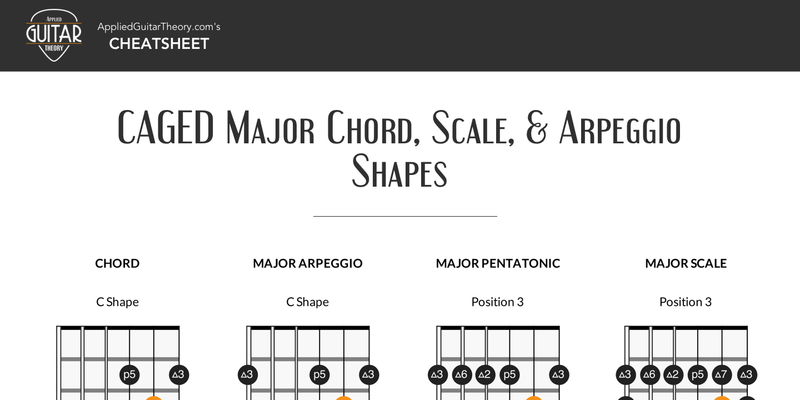 This cheatsheet gives you the chords, scales, and arpeggios for each of the major CAGED shapes. 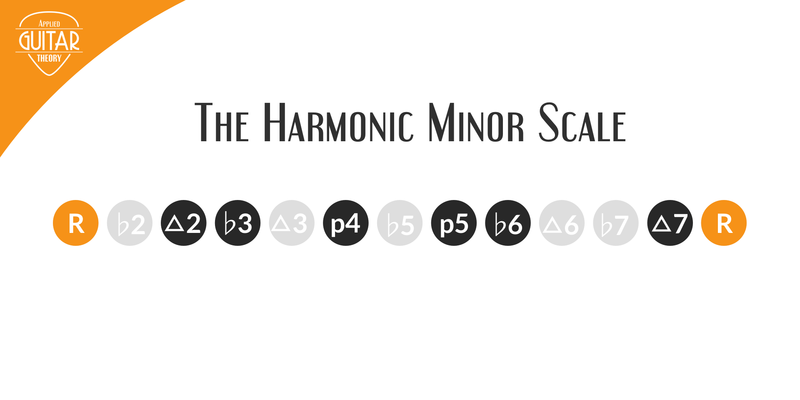 The harmonic minor scale. A staple in classical music and a fan favorite of the neoclassical shredders, it’s sinister sound catches the ear. When starting out on the guitar, or any instrument for that matter, it’s important to build a strong foundation. Seems like a pretty common sense principle, but we all can agree that we’ve had to fight the urge to tackle more advanced concepts and techniques before we were ready for them. 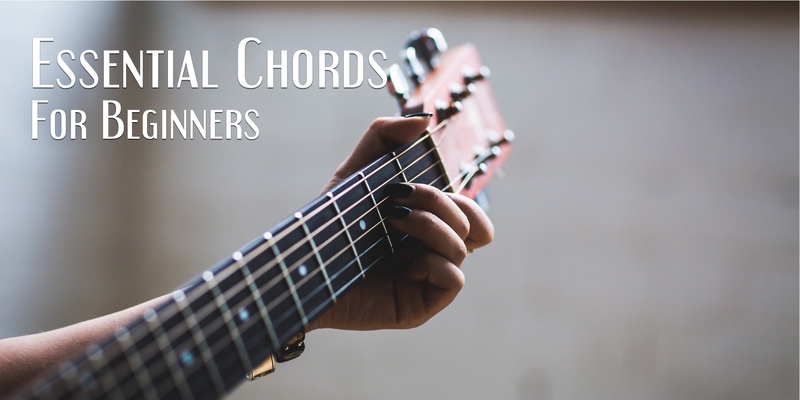 So with this lesson I’d like to hit on the essential guitar chords for beginners to learn.